FAST is contributing to the panel: Crisis Planning in the Humanitarian World at APA’s 2019 National Planning Conference with a presentation on the Architecture of UN Peace Missions and Design Activism. 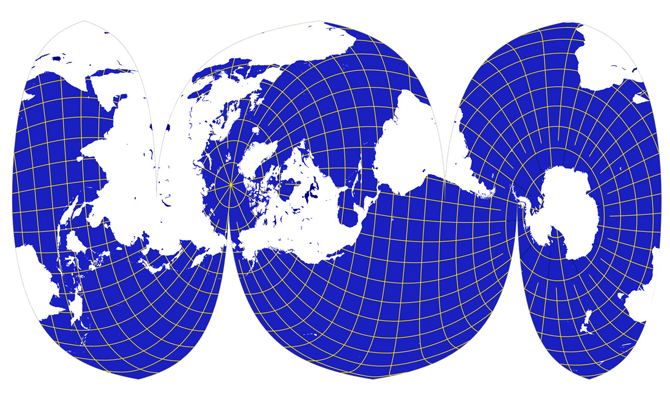 Please join us to the International Conference of Critical Geography 8th ICCG 2019. In PERMANENT CRISIS? Uneven Development, Everywhere War and Radical Praxis. The infrastructure, technology, and resources that a United Nations peacekeeping operation brings can open up new opportunities in key conflict-affected areas of the world. 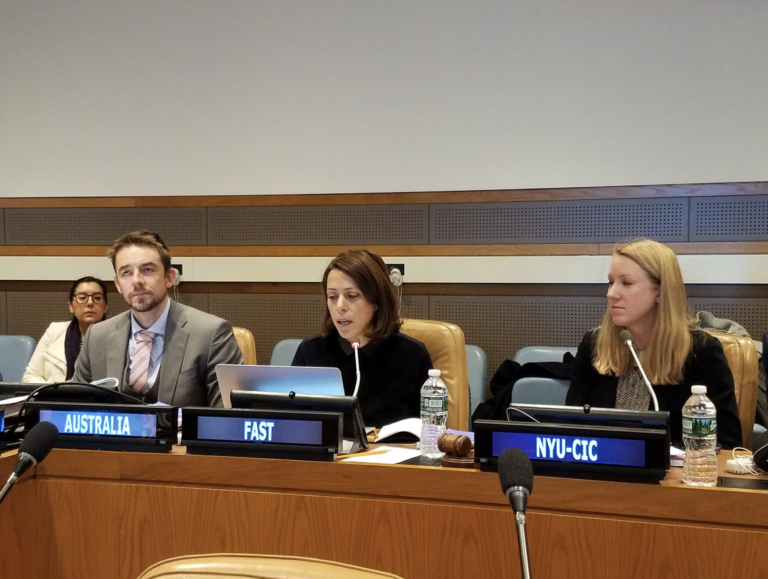 (L-R): Malkit Shoshan, Foundation for Achieving Seamless Territory; Gizem Sucuoglu, UN Peacebuilding Support Office; Rania Dagash, Department of Peacekeeping Operations; David Yardley, Permanent Mission of Australia; Israel Chocko Davis, Permanent Mission of Liberia; Paige Arthur, NYU Center on International Cooperation; Sam Grout-Smith, Permanent Mission of the United Kingdom; Ellen Kang, Permanent Mission of the Republic of Korea. In this lecture, Shoshan will present ongoing investigations and engagements with conflict-affected regions. 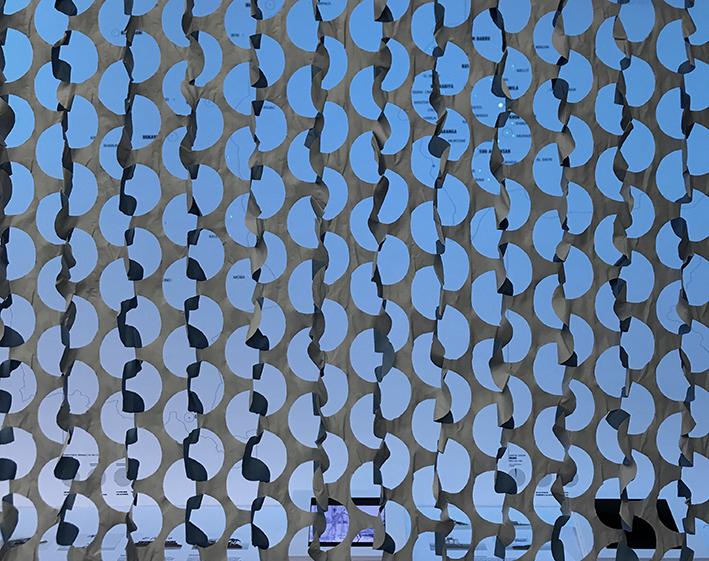 On the intersection of research and design activism, Shoshan will examine how global and national processes and policies contribute to the formation of the built environment. 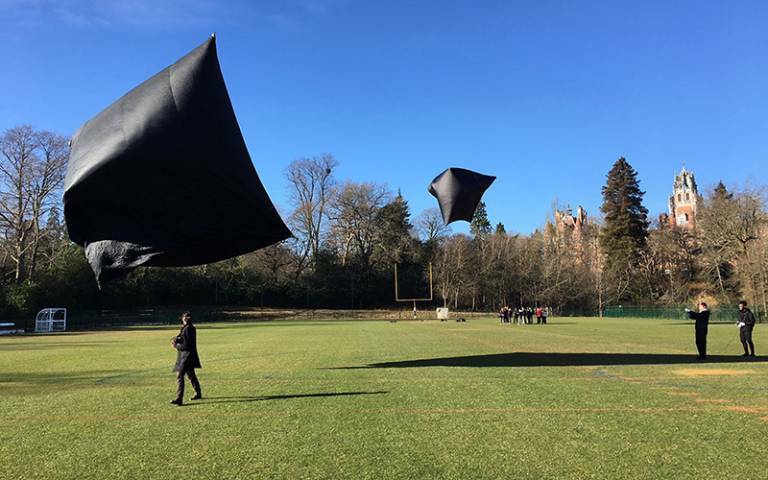 With a focus on border dynamics, migration and systemic segregation, FAST’s projects explore the agency of design in supporting and enacting actions of solidarity. 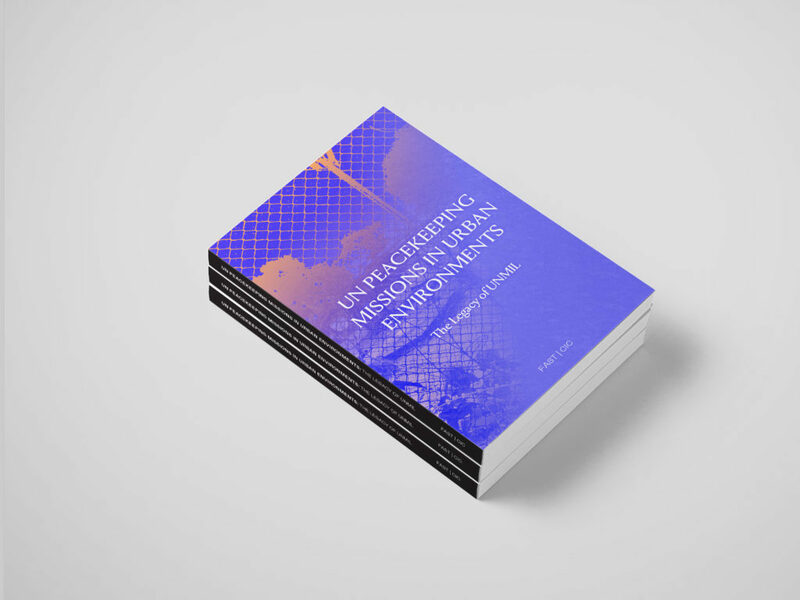 Impressions of the ‘UN Peacekeeping Missions in Urban Environments. The Legacy of UNMIL’ research, publication and events are available online. The event will take place in January 24, 2018, from 6:30 pm to 8:30 pm. 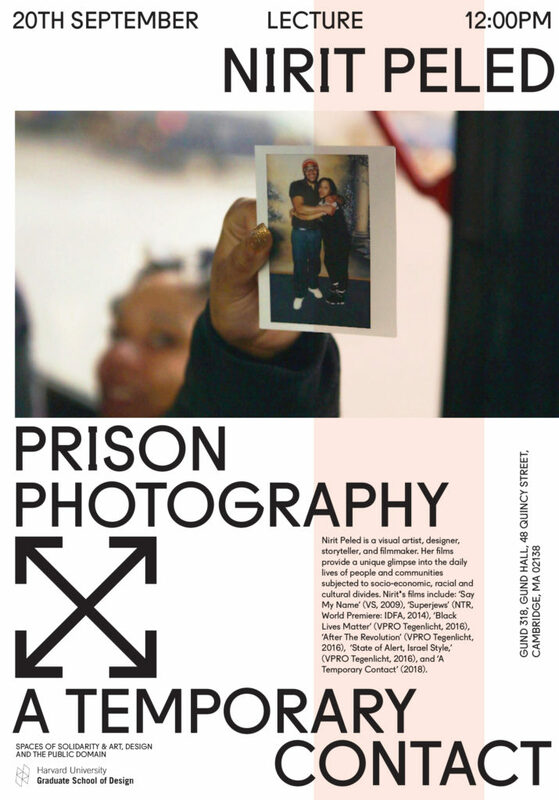 Link to further information on the program and the event. 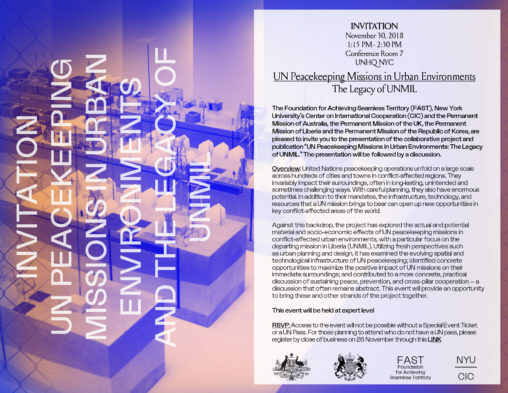 The Foundation for Achieving Seamless Territory (FAST), New York University’s Center on International Cooperation (CIC) and the Permanent Mission of Australia, the Permanent Mission of the UK, the Permanent Mission of Liberia and the Permanent Mission of the Republic of Korea, are pleased to invite you to the presentation of the collaborative project and publication “UN Peacekeeping Missions in Urban Environments: The Legacy of UNMIL.” The presentation will be followed by a discussion. Built environment professionals find it difficult to engage in the urban crisis dialogue, and lack entry points to contribute their expertise, and while humanitarian and development actors now welcome their participation, the history of spatial contributions in crisis contexts might explain some of the reasons for why the two sectors are not working better together: a common perception that the Shelter should be the main deliverable. The world is more complex than that, but so is the expertise inherent in the diverse built environment sector. Building Coastal Resilience By Impactful Community Engagement is a lecture by Magdalena Ayed. 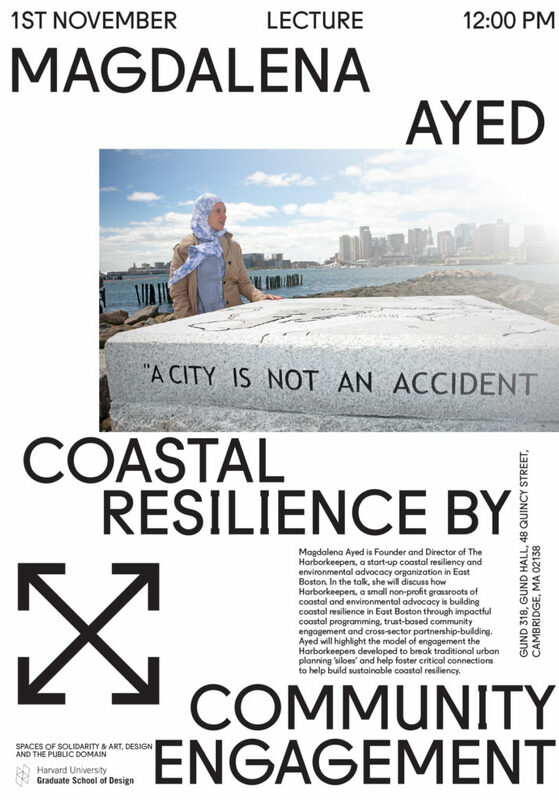 In this talk, Magdalena, Executive Director, will discuss how Harborkeepers, a small grassroots coastal environmental advocacy non-profit is building coastal resilience in East Boston through impactful coastal programming, trust-based community engagement and through cross-sector partnership-building. The speaker will highlight the model of engagement they have developed that is breaking traditional urban planning ‘siloes’ and helping to foster critical connections that help build sustainable coastal resiliency. 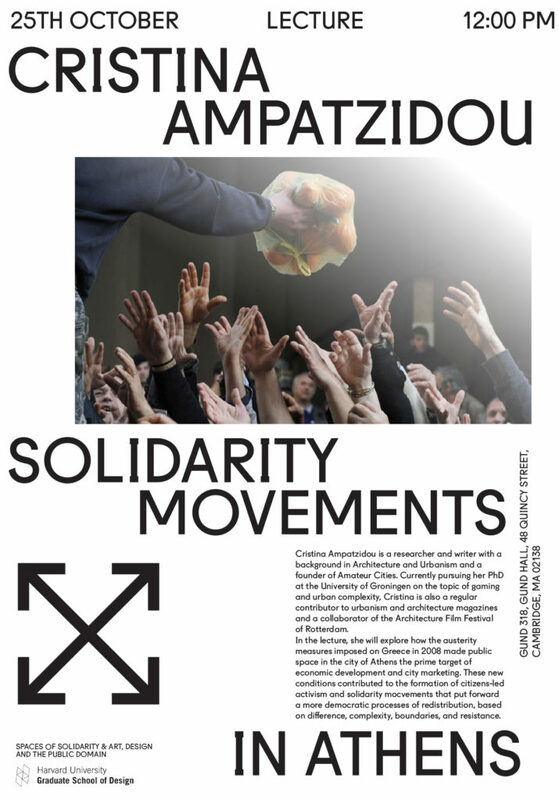 Solidarity Movements in Athens by Cristina Ampatizdou. The post-2008 austerity measures imposed on Greece made public space in the city of Athens the prime target of economic development and city marketing. These processes are based on aesthetic strategies of ‘cleaning up’ and imposing a certain visual order while disposing signs of deprivation and exclusion in the streets. Public space is embellished, cleaned, and redeveloped not as the result of prosperity but as an instigator of financial investment. 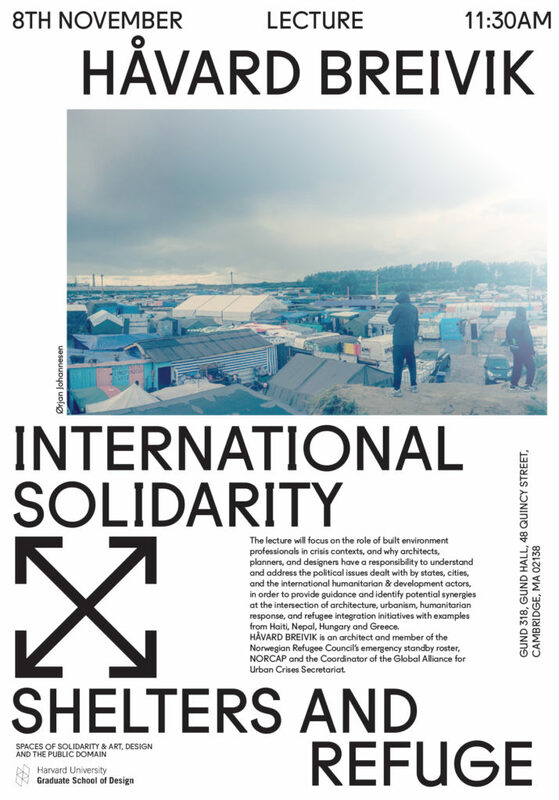 Referencing the work of Chantal Mouffe and Jacques Rancière and illustrating a series of cases, this presentation will demonstrate how this exclusionary ‘police order’ of neoliberal consensus confirms and reinforces the borders between the visible and invisible, acceptable and unacceptable. Simultaneously, however, activist groups and civil society initiatives, which have flourished in the post-2008 period, also use public space as the primary arena to contest its privatization and beautification. These actions put forward a more democratic aesthetics of redistribution, based on difference, which emerges as soon as the implemented order meets the world of complexity, boundaries, and resistance. 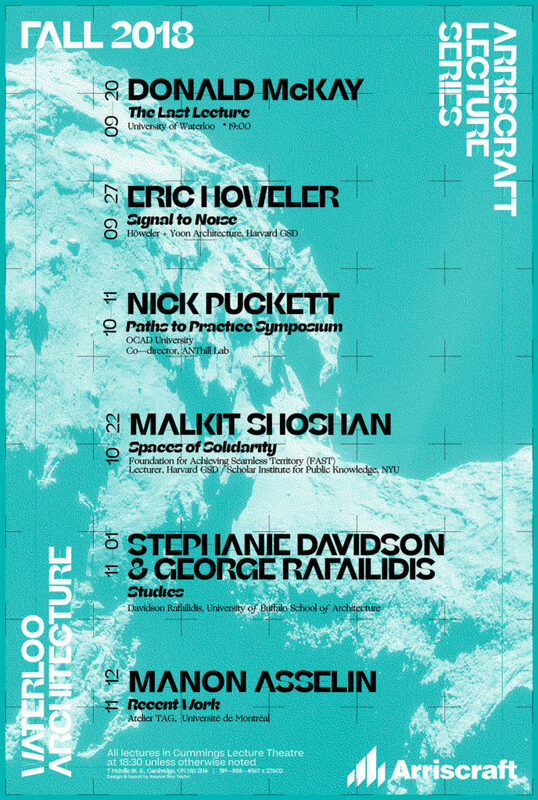 Lecture: Spaces of Solidarity and Design Activism by Malkit Shoshan at Waterloo Architecture. 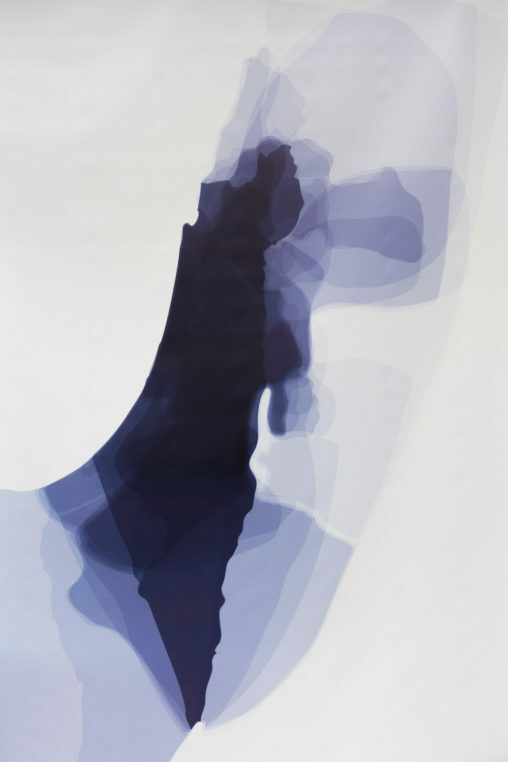 In this lecture, Shoshan will present case studies from Foundation for Achieving Seamless Territory’s (FAST) ongoing investigations and engagements with conflict and post-conflict areas. 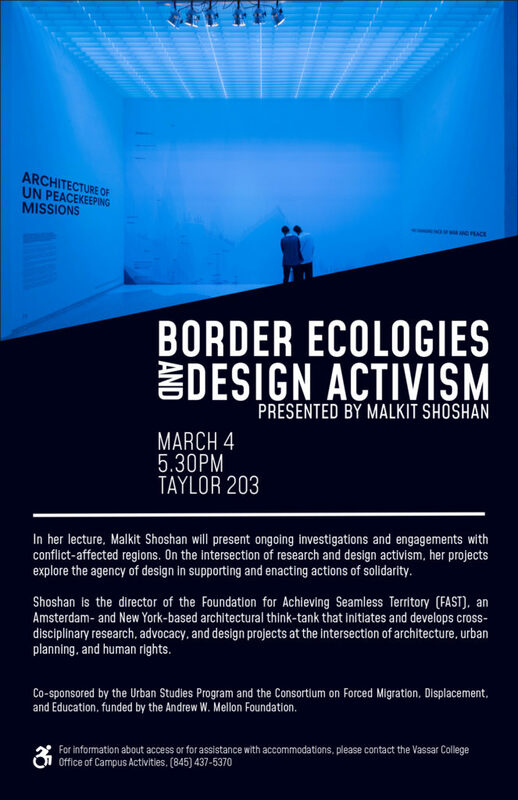 On the intersection of research and design activism, Shoshan will examine how global and national processes and policies contribute to the formation of the built environment. 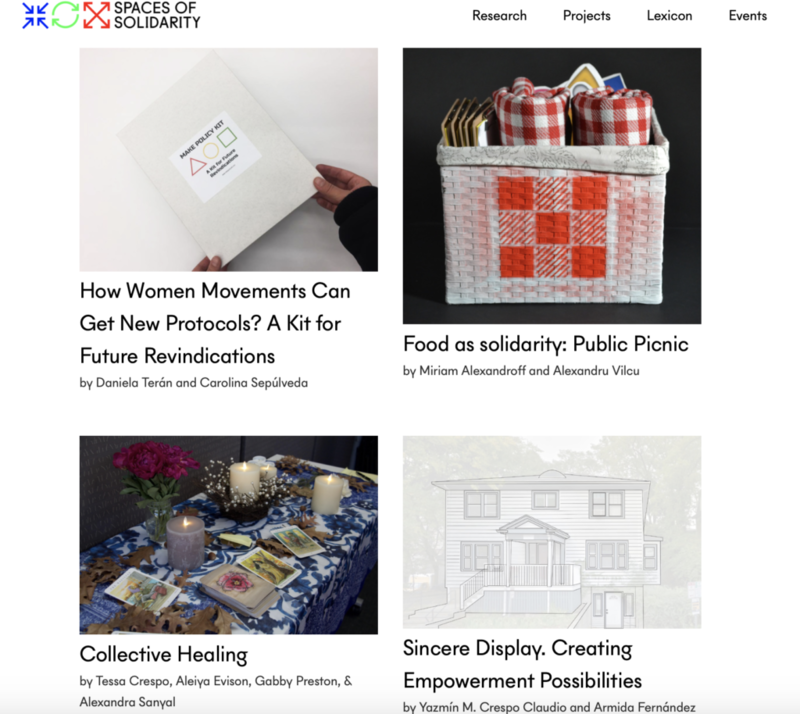 With a focus on border dynamics, migration and systemic segregation, FAST’s projects explore the agency of design in supporting and enacting actions of solidarity. 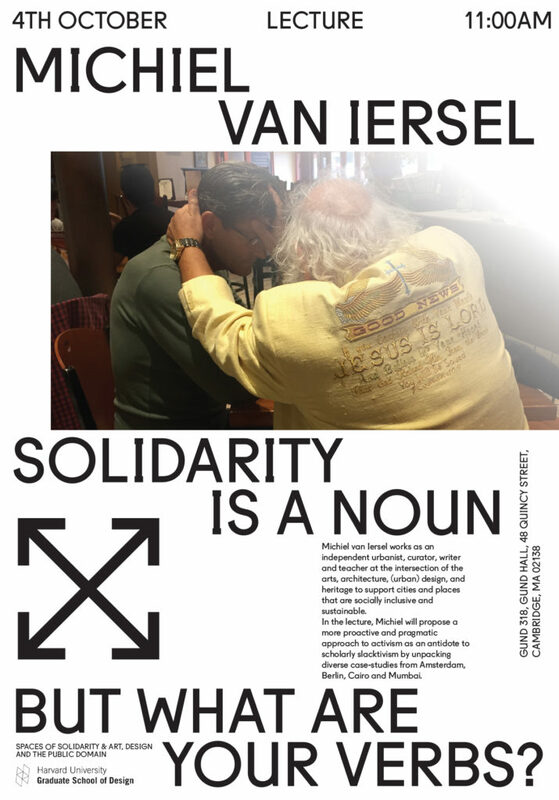 The Foundation for Achieving Seamless Territory (FAST) is an Amsterdam- and New York-based architectural think-tank that initiates and develops cross-disciplinary research, advocacy, and design projects at the intersection of architecture, urban planning, and human rights. FAST is directed by Malkit Shoshan. The second symposium in the ANCB programme Borders and Territories: Identity in Place with Nadine Godehardt, Malkit Shoshan, and Lucas Verweij.